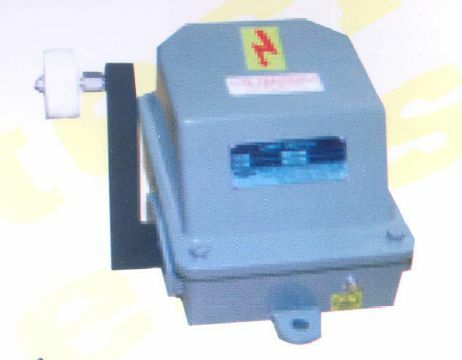 Lever (and weight operated) type Limit Switch LLS/CWLS operates the control change-over contacts of motor of an moving equipment when a cam moving with loads actuates the lever of limit switch. This turns the cams on a square shaft and operates the NO I NC contact elements. 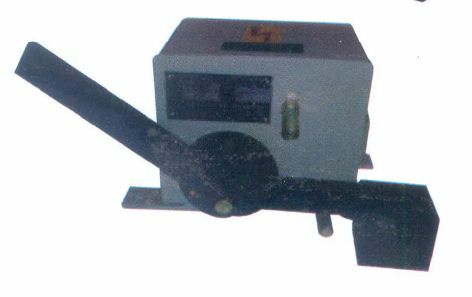 Two or more contact elements are operated by respective rotating cams which are suitably fixed on swuare cam shaft turned by a lever or weight. The contacts operate at 140 from central neutral position. The sheet steel bosy, Lever and cover of the limit switch are finished by powder coating treatment. The cam shaft is mounted in the housing on moulded Nylon bushes (bearing) and are fixed through the front & rear walls. Roller Operating A alever : These limit switches are used for E.O.T. Cranes wagon shunting devices elevators travel mechanism or such linearly moving mechanisms to prevent over-travel, The poition of operating leveer is in up/ down and can be changes in steps of 900 atsite. 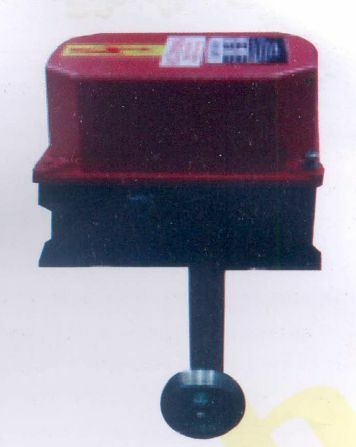 Lever Actuated by as dead weight : These limit switches are used to prevent over hoist motion with weight. Counter weight is provided in this case. The same is lifted with wire rope to prevent over hoist position.